The towns of Duck, Southern Shores, Kitty Hawk, Kill Devil Hills and the village of Buxton on Hatteras Island are excited to see the start of beach nourishment projects, some years in the making, finally getting under way! For a town that’s so small you can walk from one end to the other, there’s an amazing amount of stuff going on here in the summer time. 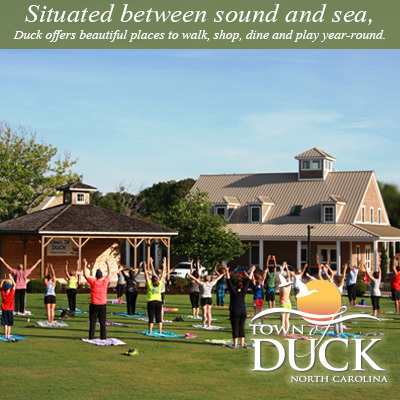 © Duck Town Park 2019. All rights reserved.